Unlike it’s fluffier, thicker Genovese sister, Focaccia di Recco is paper thin, consisting of two layers of unleavened dough, filled with heaps of soft, fresh crescenza or stracchino cheese. It is a messy, melted paper tray of heaven. Ligurians are fiercely protective of this focaccia and there are extremely strict rules about ingredients and methods of preparation. It can be cut into round, square or rectangular pieces, but the height must never exceed one centrimetre. 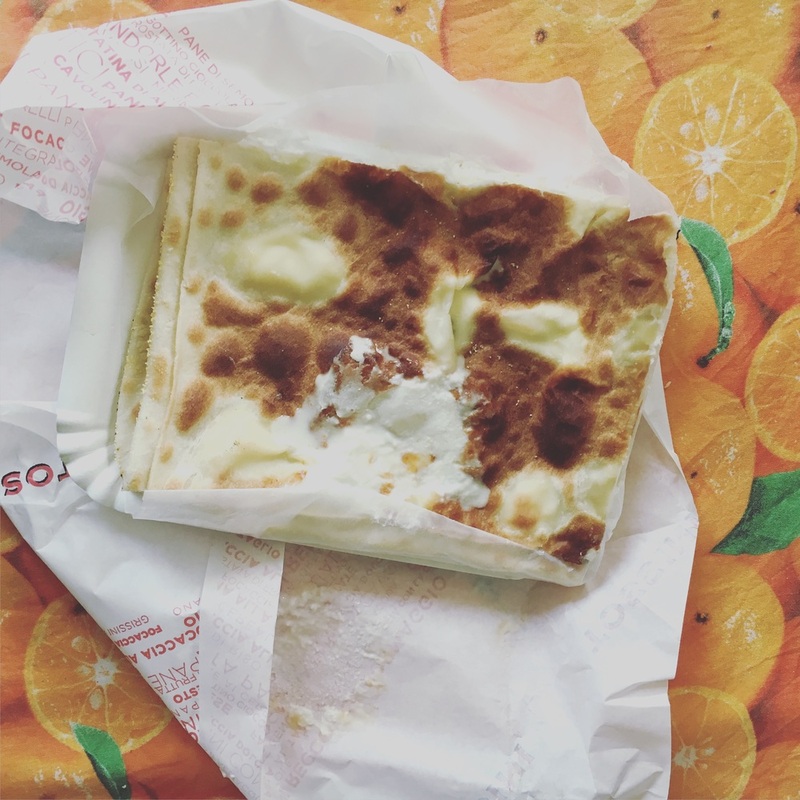 Since 2012, it has been IGP protected, which means you can only buy ‘Focaccia di Recco col Formaggio’ in four places: Reco, Sori, Camiglio and Avegno. Anywhere else, it’s just plain old focaccia col formaggio’. So, you'll have to come to Recco to try the real deal. If you fancy giving it a whirl at home, here's a link to the official website for the Consozio Focaccia di Recco col Formaggio. Seriously.